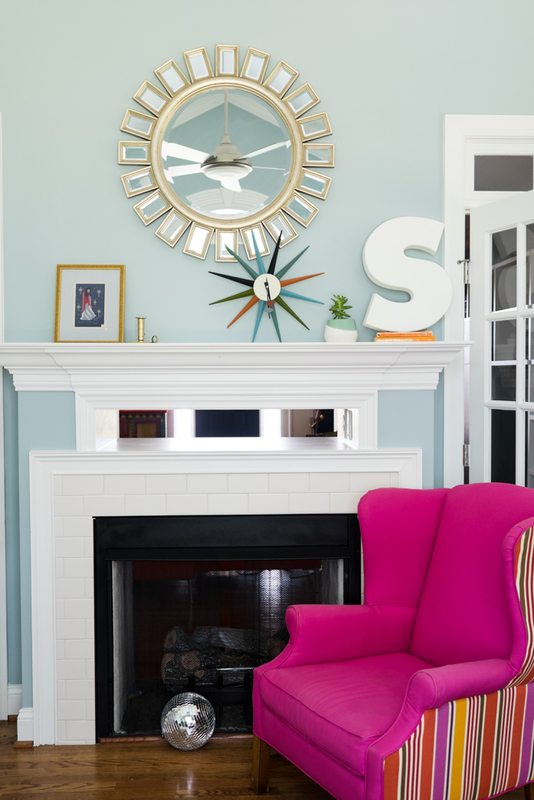 Design Addict Mom: Pink Touches at Home. I hear today is National Pink Day and wanted to join in on the fun and take a look at some pink moments around our home. 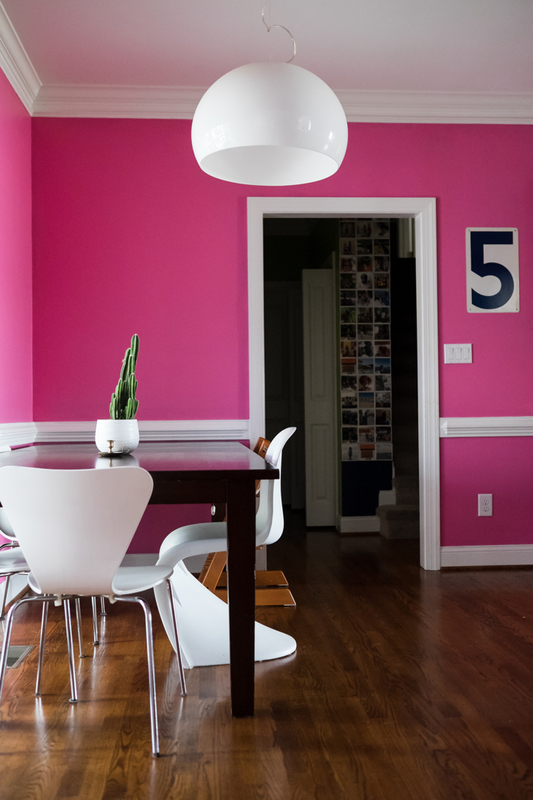 Though I've since repainted the kitchen, it is still pink and I do miss this bold and fearless shade. Of course, I couldn't leave the office out of the fun. 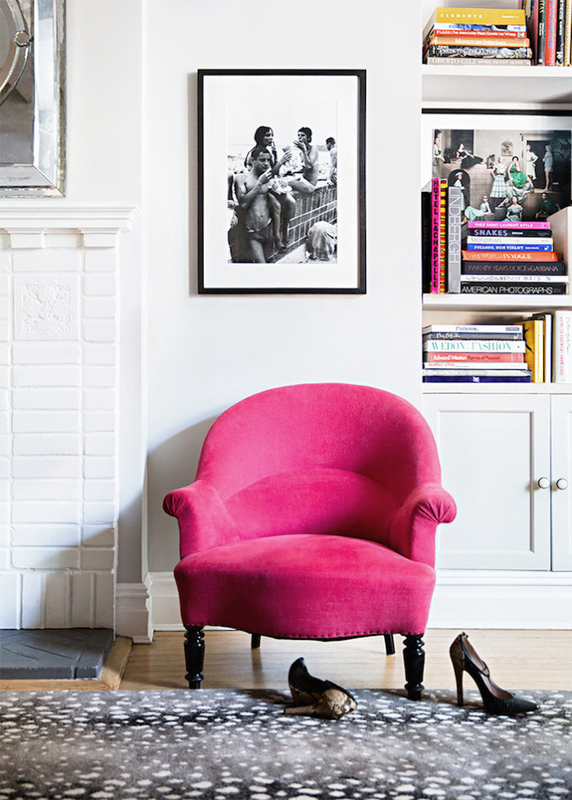 And the famous pink chair-ha! I saw this one too in a Domino magazine and fell in love with it too. Photo by Brittany Ambridge.